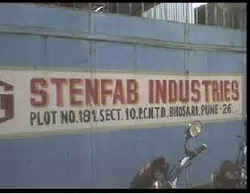 Sten-fab Industries the globally renowned manufacturer and supplier company for excellent quality Material Handling Systems was incepted in the year 1997. Our dedication to producing quality shows our attitude to handle a wide variety of high accomplishing products, including Automated Handling System, Belt Conveyor, and Lifting Platform. Owing to the precisely engineered design, our offered products feature cost-effective qualities of strong construction, superior performance, heightened safety, low maintenance and maximum user control. And, this provides us to uplift client comfort levels in the marketplace. As a growing business entity, we put endeavors to work jointly with our clients to predict their insights and summarize their acknowledgment in our designs. We strive to deliver enumerated value with our developed products, and we do this by operating with a client’s prospect to design a viable material conveying mechanism that is secure and intensify its lifting capacity. 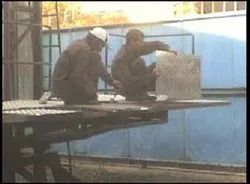 We are trying to accomplish crucial goals by serving various industries, such as petrochemical, cement plants, power plants, steel plants, fertilizer and stone industries. Further, our absolute knowledge and innovative production capabilities produced in a firm clientele including esteemed patrons such as TATA and Thermax. The key properties in our accelerated growth are the helpful guidance of Mr. B. M. Kulkarni about responsiveness and determined attempts that lead our industrious team members to respond flexibly to the evolving customer requirements. We ensure all our company operations are carried with an agreement to global manufacturing standards. We are staffed by a team of diligent quality control executives who are responsible for measuring our production capacities on the basis of our quality system. 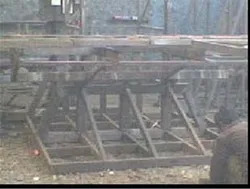 Further, we make certain to procure the finest quality raw material to produce reliable products. The developed cranes are rigorously examined to verify that high caliber machine is being transmitted to our esteemed patrons. All our activities are backed by our modernized production set up that is lying across a broad area. Our infrastructure supports our chase of excellence, as we have funded the substantial value in optimizing our product development proficiency. Our factory base is strengthened with the high-speed machine and computer-aided design technology, whereas our shipping department is completely equipped with hyper-connectivity to streamline our supply chain. The established brand position and devised corporate conception would not have been viable without our crew of highly felt professionals. Our team includes product designers, manufacturing specialists, attentive inventory managers, proficient quality assurance associates and extremely dedicated sales and marketing personnel. Our team members are strengthened with various skills that assist us to earn the market needs while assessing our potentials. Being a client centric company, we direct all our endeavors in surpassing the expectations of our clients. We strive to assure our clients through excellence and commitment to impeccable quality. We revolve all our operations around the specifications of our clients that enables us meet their exact demands and cater to them in a successful manner. This is the reason we leave no stone unturned to provide our clients with all facilities that makes us gain an edge over others in offering precision engineered range of material handling systems. We always act in conformance to the customer¿¿ benefit and provide the result that furnishes us to accomplish the goals of being committed material handling equipment manufacturers. We understand that our modernized production facilities, stimulating work environment, and communication ability are the key qualities that bring us flexibility. Further, we are submissive to quality policies that ensure our clientele with the value of the money entrusted in our advanced material handling products.